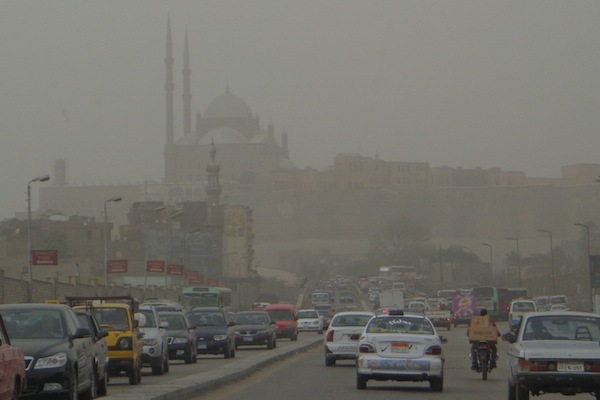 The sandstorm murkiness shrouding Cairo gave me an eerie feeling that I had crossed over into a mythological world. 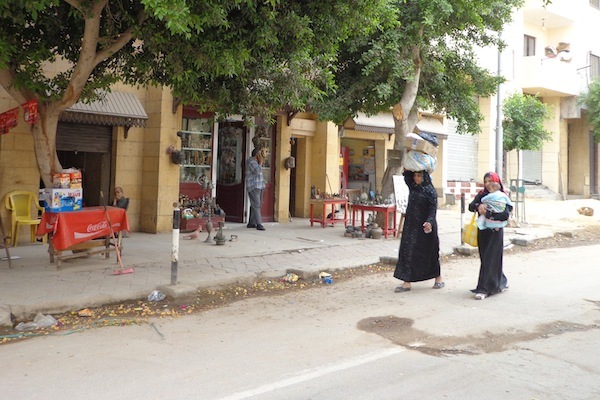 The feeling strengthened each time I glimpsed an ancient sand-coloured building. I had a tingle deep in my chest thinking about how many people had lived, laughed, wept and died within the walls I was seeing. 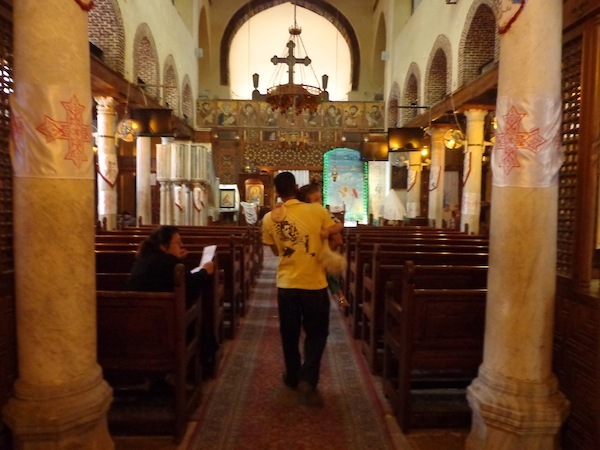 Traveling with a toddler … in a sandstorm … without a stroller … meant my exploration of Cairo could not be too ambitious. But I did want to get inside one of these ancient buildings, to see if I could feel any echo of the past. I drew up a three-stop itinerary for the driver we had for five hours in the afternoon. 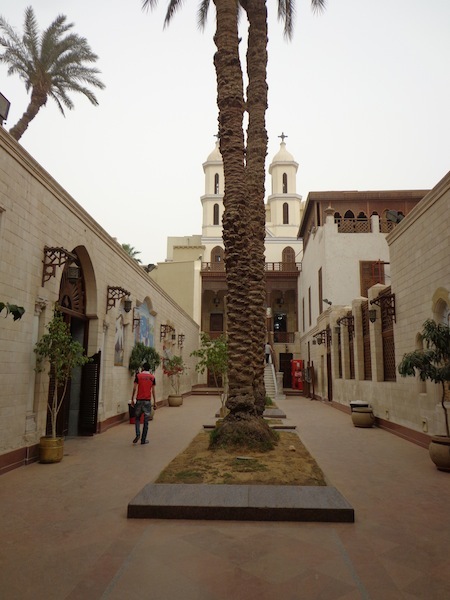 We only made it to two places — lunch and Coptic Cairo. The traffic, not the toddler, really slowed us down. 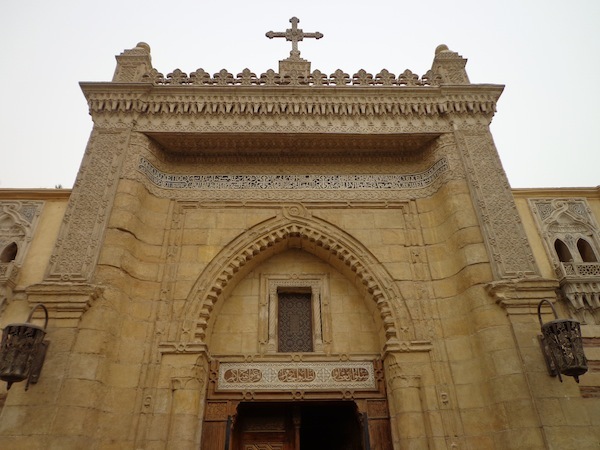 Coptic Cairo was on my list because my guidebook told me that one of the churches had an excellent toilet. And you need good access to toilets when you are traveling and toilet training a toddler. The “toilet” church was close to the church built on top of the cave that Mary, Joseph and baby Jesus supposedly sheltered in while they were on the run from Herod. 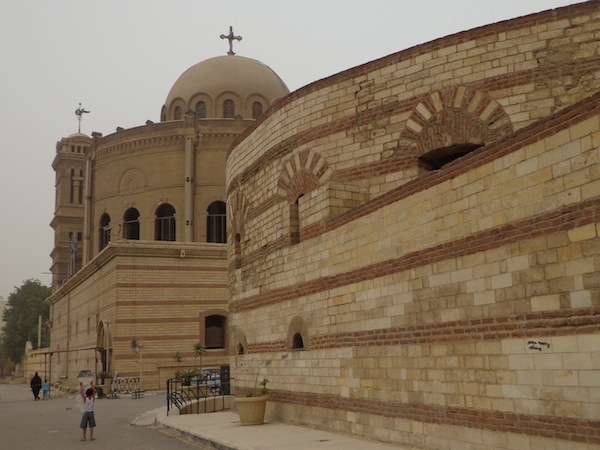 Toilets and baby Jesus — you can see why Coptic Cairo was on my list! The terrible traffic meant we arrived late, just before the 4pm closing time of the museums and some of the churches. 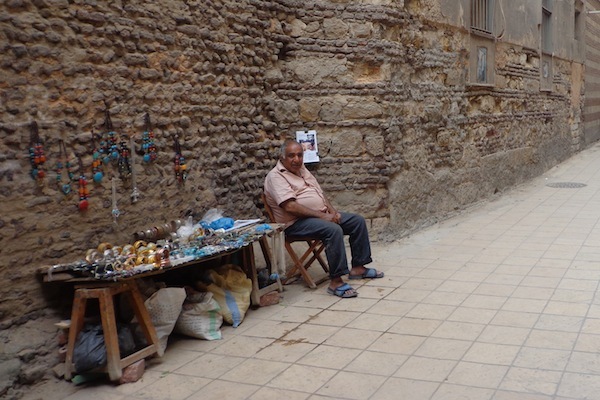 The lack of tourists in this part of old Cairo added to the feeling we had stepped back in time or into another world. Suddenly, the tingle in my chest dropped. It became a lurch in my stomach. Then a pain. I picked up the pace, so glad I had researched toilets before we set off. Even though it wasn’t Miss M who now needed a toilet. They pointed behind me and started giving me directions. I looked alarmed. My stomach was being VERY demanding. One of the ladies approached and pinched Miss M’s cheeks. “Come into my house,” she said, and led me into a tiny doorway and up a narrow and steep flight of stairs. 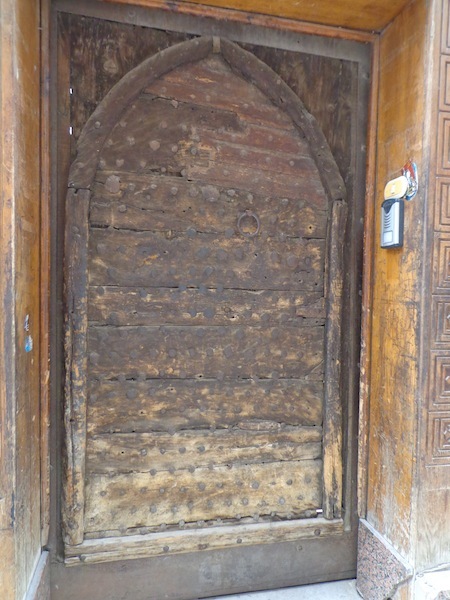 I was torn between marveling at how many centuries old the house must be … and my incredibly urgent need for a toilet. The lovely lady flung open a door to reveal a lovely modern (ish) toilet. Oooooh, the relief. After a time we emerged from the ancient house. I was too embarrassed about stinking up the lovely lady’s toilet to have much of a chat. And because of the nature of my visit, I didn’t even stop to “feel” for any ghosts of the past. We scurried off to see the Church of St Barbara, tiny and intriguing and full of people praying. It was awe-inspiring. As was the courtyard outside and the nearby Greek Orthodox cemetery. We headed back the way we came and another lovely lady popped out of her ancient house … and asked me for money. “My husband died,” she said. “I’m hungry. You buy bread.” I scurried off again, guilt-ridden at not being charitable but wondering why someone who lived opposite two churches needed to beg. And why she was hungry if she had bread. The priest grinned at us. I wondered how much an after-hours inspection of the church would cost, then immediately berated myself for being so un-Christian. I told the toilet-lady and the priest that it was OK, I just wanted to walk around a bit. So we strolled around, past a money-changer. My eyes nearly popped out of my head when I saw the sign. 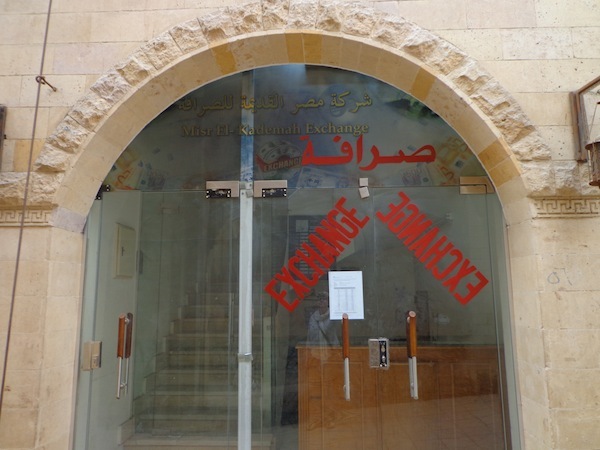 I thought Jesus had chased the money-changers out of the church. A guy in a man-dress began locking up the Hanging Church and it seemed time to leave. Another man told me I could walk around the corner to see the “column” it was built on. But I couldn’t work out where he meant. We headed back towards our car (and driver) and once again I felt as if we’d stepped back in time. And the drive back to our stinky cheap hotel took us past The Citadel, built by Saladin as protection against the Crusaders. 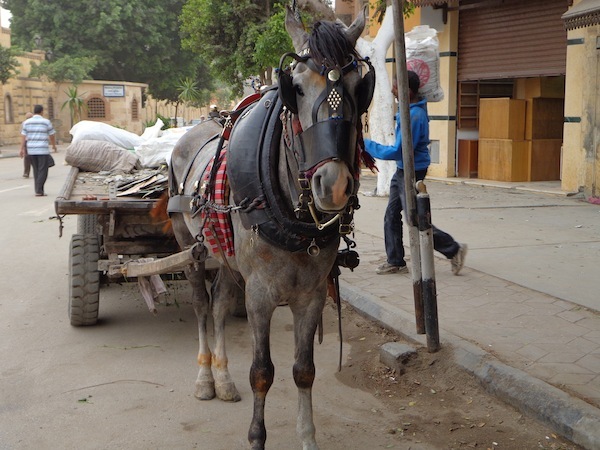 Oh Cairo, you may be dirty, but you are fascinating. Catch you again soon. Loved this post! How fortunate for you that a toilet appeared – never any fun with misbehaving stomachs. Quite a difference between the last two photos – one looking timeless and one of our modern age with cars and enough pollution to cut the visibility. Hehe, that was funny. 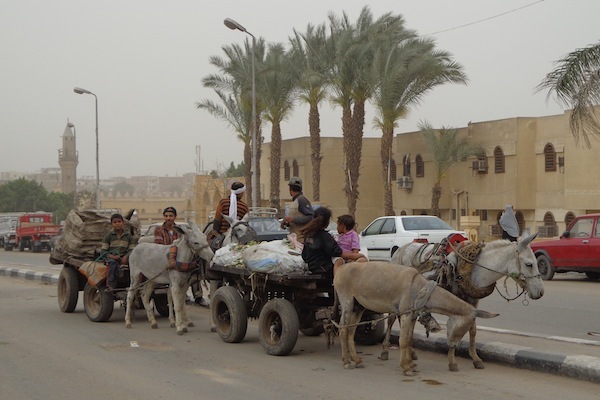 I thoroughly enjoyed your description of Cairo, though it is so dirty, it’s such an ancient and amazing place. 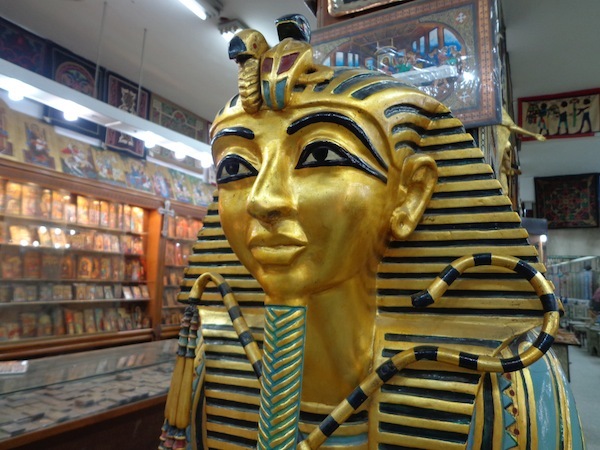 I spent about 2 weeks in Cairo and I still couldn’t come to actually fully believe some of the ancient things I was seeing and observing – things I had only thought existed in books. 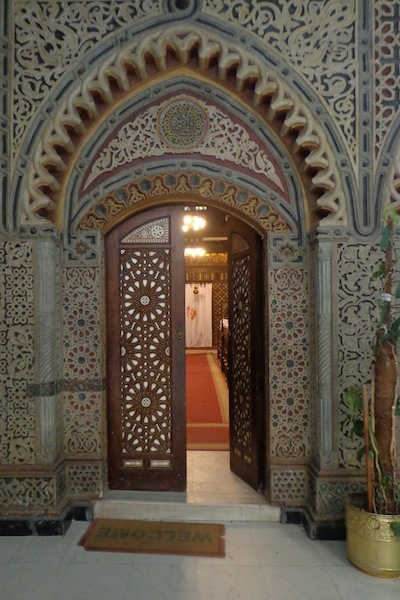 Cairo really has to be one of the most interesting cities in the world!